As we file into the ballpark they will hand us little American flags, a reminder that it is Memorial Day. It was May 5, 1868, when a General who headed a veteran's organization called for a "Decoration Day"--decreeing that all the graves of the Union dead should be adorned--and officials chose May 30, because that was thought to be when flowers would be at the height of bloom. For 100 years it was celebrated on a fixed date. Now we celebrate it on the last-May Monday because of the "Uniform Monday Holiday Act" (yes, really) which Congress passed in 1968 to give us more three-day weekends. As Lyndon B. Johnson declared when he signed it (as the Uniform Holiday Bill), "The Monday holiday will stimulate greater industrial and commercial production, sparing business and labor the penalty of midweek shutdowns." For me, saying “I am married now” is like saying “I am lucky now.” I stumbled and crashed my way into the literal arms of something I never quite believed in before: my soul mate. A man who frequently smells like cheeseburgers and makes me laugh hard every day and makes me want to be worthy of being his husband. Life never pauses. Another email I wrote today was to a friend asking for advice on freelance. What I always answer: assess your skills, network, don't be afraid to ask. What I always think: Bluff! The opportunities you get are directly proportional to the opportunities you project being accustomed to getting. In the South, where Confederate dead might be buried miles away from home, Memorial Day was historically celebrated with a trek, perhaps a religious service, and a picnic graveside. You put a tablecloth down on the grass and you visit with your dead. In a perfect world I would take my little red, white & blue flag and, after the baseball game, drive to National Memorial Park Cemetery out on Lee Highway in Arlington. I would plant the flag by my Grandpa Marvin's grave and the sit down to chat with my Grandma Beasley. She died not that long after I had the news of my second and third books, right as I was deciding to quit my editing job and try to support myself as a writer. It's going all right, I would start by saying, because she worries. I'd talk about my fiancé, this sweet lanky Florida-born painter, and I'd ask to hear the story about meeting my grandfather on the steps of Rice University, then reuniting with a high school sweetheart many years after being widowed. Did you actually like keeping parakeets, or was that for Joe's sake? What was the fanciest event you ever attended in DC? I'd get around to asking if she ever had eaten an avocado, if she liked them, or if that shade of green was just an abstract concept in her house. I would tell her I miss playing Scrabble. I'd ask her forgiveness for not bringing flowers the last time I saw her. I would admit that I worry, too. I would ask what songs she knew by heart. I thought I wanted to write a book about traveling. But perhaps I already did that, in poems. Maybe now I want to write a book about staying right here. -Greens by the half-pound--whether mysteriously spicy, or edibly floral--at the Dupont Circle Farmer's Market. Sampling slices of tomatoes, eyeing the ramps. Digging down for my last quarter to buy a crisp apple. -Sitting in the Phillips Collection's Rothko Room. -Politics & Prose! I'm overdue to splurge on a book, and/or a bowl of soup at Modern Times. 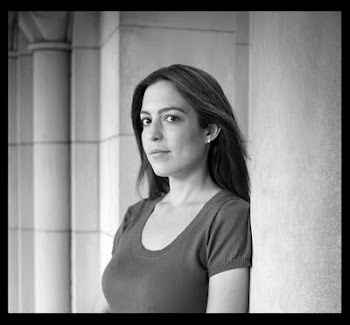 Summer readings include Ru Freeman (May 20) and Lionel Shriver (June 11). They are also debuting the District Lines anthology with a reading on June 15. -The Sunday morning concert of the carillon's bells at the National Cathedral. 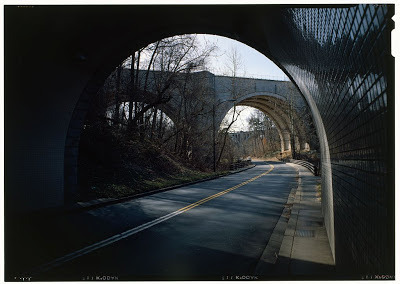 -Driving the curves of Rock Creek Parkway, feeling like you've found the secret & scenic underbelly of the city. -Quality peacock time in the open-air aviary of the National Zoo. -Sharing Murasaki's signature sushi roll, followed by a spirited (& okay, long-winded) discussion of DC's art scene--from influence to mentorship--at a little pop-up gallery space on Wisconsin Avenue up by AU, for a series run by Jack Rasmussen. -Trekking out to the suburbs of Virginia to have a glass of wine with my mother. -Catching a Nats game with my dad. -The O.B. Hardison Series, hosted at the Folger Shakespeare Theater, with the PEN/Faulkner Series a newly discovered close second. Seriously, who else emails me and says "You wanna hear Paul Muldoon on Monday?" (Or something to that effect.) And there is no better setting for readings than a historical theater's embellished stage. Before I forget, there is a chance to attend One Last Reading for the season this Friday, May 17, at 6 PM. Adam Mansbach--yes, the guy who wrote Go the F**k to Sleep, but he's also the author of two distinguished novels--will read from Rage is Back, alongside readings by poets Joseph Ross (author of Meeting Bone Man) and Clint Smith. The themes of the night will be graffiti, including poems on Cool Disco Dan, and father and son relationships. Free! Because that's how DC rolls. Oh, and a bonus: when I went to 2Amys to get take-out for a Mother's Day meal with my family, the manager taking orders said, "Sandra Beasley! We went to elementary school together." And sure enough, I remembered him--a much redder-haired little kid version of him circa 20 years ago. Because that's what happens when you stay.